Now that cannabis has been legalized in Canada, many owners are wondering if they can use it to help their pet. Unfortunately, the answer is not yet- at least not with a prescription from your veterinarian. Currently, Canadian veterinarians are only allowed to prescribe, dispense, or administer cannabis products that have been approved for use in animals by Health Canada. These products will have undergone safety and efficacy testing and are assigned a Drug Identification Number (DIN). Unfortunately, this type of cannabis product doesn’t currently exist. 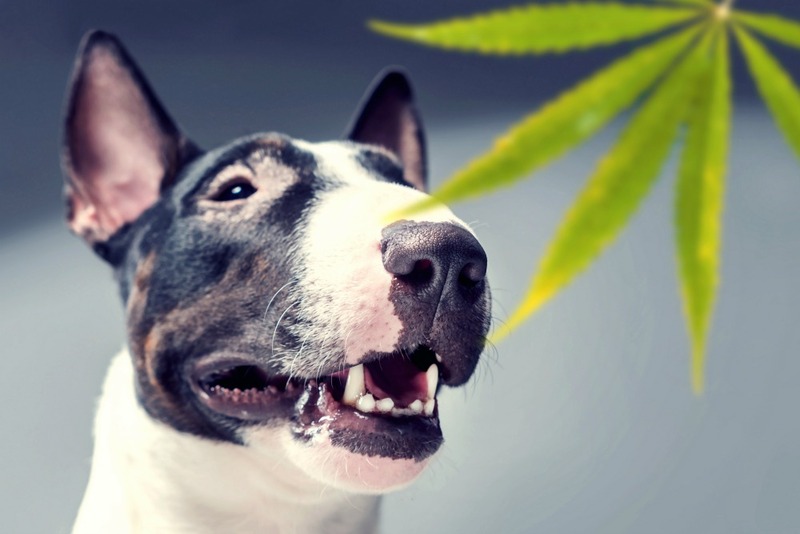 The good news is that there are several companies working on cannabis products for animals. In fact, Canopy Growth Corp has a Health Canada approved clinical trial studying the use of cannabis products to treat anxiety in dogs. So, what is cannabis and how can it help? Cannabis contains hundreds of compounds which include cannabinoids, terpenes, bioflavonoids, phenols, fatty acids and sterols, among others. Cannabinoids work on receptors in the Endocannabinoid System (ECS). All mammals have an ECS which very simply put promotes homeostasis and affects sleep, appetite, pain, inflammation, memory, mood, and reproduction. It’s kind of an amazing system. Cannabidiol (CBD) and THC are types of cannabinoids. THC is responsible for the psychoactive effects (the “high”) from cannabis. Dogs are much more sensitive to THC than humans and can become intoxicated rather easily. CBD lacks nearly any psychoactive effect and is well tolerated by companion animals. 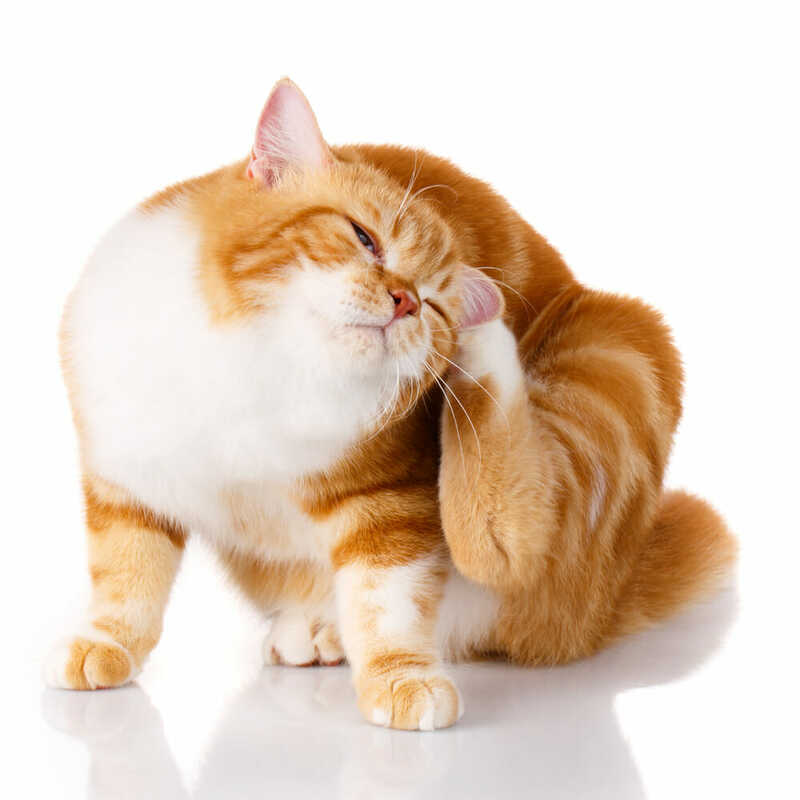 There is a growing body of anecdotal evidence that CBD is beneficial for pain, anxiety, seizures, arthritis, behaviour issues and nausea among other conditions in cats and dogs. It’s quite exciting to have a tool that could potentially change the face of pain management for our patients and improve their quality of life. The problem is that we are lacking the clinical studies to know what dosage and form of CBD will work safely for various conditions and species. Although Canadian veterinarians have no legal avenue to prescribe cannabis to our patients, we still have a responsibility to make sure that clients who choose to use human products for their pets are doing so in the safest possible manner. We can educate owners to reduce the risks involved with using these products and create an open dialogue to improve the care we provide. This includes educating our clients that we have to be cautious about the THC levels when cats and dogs are given cannabis. If clients choose to use a human cannabis product, they need to make sure it is from a reputable source and that the cannabinoid composition is clearly stated on the label. It is also prudent to ensure a certificate of analysis is available from the manufacturer to identify all contents, including any residual traces of pesticides, microbial, solvents, or other contaminants. The importance of quality assurance is key here so that we know what’s in the package is reflected accurately by the label. It makes sense that with the legalization of cannabis the number of intoxications presenting to veterinary clinics is on the rise. Dogs are very sensitive to THC, and it is not a fun trip for them. Some are mildly affected with disorientation and incoordination, others can have vomiting, incontinence, low heart rates, severe agitation and even seizures. Edibles can be particularly dangerous due to the high concentration of THC and the potential for ingesting other toxic components like chocolate or raisins. It is exciting to be able to offer our patients another option to improve their quality of life, hopefully in the very near future. Try to be patient and wait for approved products for animals. If you do choose to start your pet on cannabis containing the product, please make sure you speak with your veterinarian. Even though we cannot prescribe or provide dosing information, we can help guide you through a safe treatment plan. The Canadian Association of Veterinary Cannabinoid Medicine is also a fantastic resource for more information.